At last he got permission to explain, the brake to Commodore Vanderbilt, the greatest living railroad man of the period. He was himself so thoroughly convinced of the merit of his invention that he felt that, if he had the opportunity of explaining it, Commodore Vanderbilt would immediately order every car of the New York Central Railroad to be equipped with it. The interview took place in Commodore Vanderbilt's New York office. Mr. Westinghouse spoke and Commodore Vanderbilt listened. At last the old man asked, "Do you mean to tell me that you can stop a railroad train by wind?" "Well, yes, inasmuch as air is wind, I sup­pose you are right," said the inventor. Then the great railroad man said some­thing like this: "I have no time to waste on fools "; and the interview was ended. But Mr. Westinghouse kept on. Even at that time he was persuasive, but he could find no backers who would risk their money in his "wild innovation." Some of his busi­ness associates considered him a crank; they told him that he was a man of one idea, and playfully dubbed him "Crazy George." About this time he invented a railroad frog which appealed to railroad men at once. He went to Pittsburg to make arrangements with a steel company to manufacture the frogs. There he became acquainted with Andrew Carnegie, Robert Pitcairn of file Pennsylvania Railroad, and Ralph Bagley. All were young men and Mr. Westinghouse became their companion. He told them about his brake, and asked them to take up his project with him. At last Ralph Bagley, who owned a foundry, agreed (for one-fifth interest in the invention) to make an appa­ratus to equip a single train. The superintend­ent of the Steubenville division of the Pan Handle Railroad from Pittsburg to Steubenville agreed to place a train of cars at the inventor's disposal, and the work went ahead. The first trial took place in October, 1868. The first application of the air-brake pre­vented a collision between the train and a wagon. The brake had proved itself. But Mr. Westinghouse did not sit down and rest. The newspapers and scientific journals were enthusiastic about it, but he realized that his work had merely begun. He saw better than others that the brake was still defective. When he went home from the first test he made new plans. The Westinghouse Air-brake Company was formed, and a factory was built for making the brakes to fill the orders which began to come from various parts of the country. But he bent his mind also to improving the brake and bringing it to a degree of perfection which he had conceived on the day the two trains collided near Troy. Having now convinced the railroad men of the United States of the practicability of his invention, he went to Europe to intro­duce the brake there. The European trains had hand-brakes upon brake-vans, and the other cars had no brakes at all. His efforts to per­suade the railroad men that a brake must be applied to the locomotives as well as to the cars was no easy task. It required seven years to convince the conservative railroad men of England. From that time he has developed his brake to keep step with the development of the railroad business. His next big project was that of piping natural gas into Pittsburg. While natural gas was piped into the steel city as early as 1883 by a few individual manufacturers for their mills and factories, the gas-fields with large supplies were so far away (according to the limited ideas of the time) that no one had the courage to lay a pipe-line to bring the gas in quantity to the city. It would be too expensive. No one dared to take the risk of sinking the millions of dollars necessary to do the work. But Mr. Westinghouse carefully computed the cost of bringing the gas from the Murraysville field, about forty miles dis­tant, the nearest of the large gas-producing fields, and also the possibilities of profit in selling it in the mills and homes of Pitts­burg. He became convinced that the project was entirely feasible and that the profits to the man or the company who undertook it would be incalculable. So in May, 1885, he set about to form a company - the Phila­delphia Company. He needed $6,000,000 to carry out his plans, and twenty years ago $6,000,000 looked much larger in Pitts­burg than it does now. The scope of the work was outlined and public subscriptions were invited. So confident was he that he feared there would be such a crowd in front of the bank where the subscriptions were to be received that policemen would be needed to keep order. The day for receiving sub­scriptions came, but not the expected crowd. But this rebuff only spurred him on. He went among his friends, used his magic powers of personal solicitation, suc­ceeded in inspiring them with his own en­thusiasm, got all necessary money subscribed, and carried his plan to completion. It made a fortune for everyone who went into it, and by cheapening fuel it gave a great impetus to the manufacturing industries of Pittsburg. In the meantime, Mr. Westinghouse had found other battle-grounds. During his sojourn in Europe he had studied the sys­tem of electrical distribution then in vogue, which interested him. Electric lighting was in its infancy. Mr. Westinghouse, with characteristic foresight, soon recognized the possibilities of the "new" element of light and power. In Paris he learned of Gaulard and Gibbs, two engineers who had recently obtained patents on the "alternating cur­rent" system of electrical distribution. The "direct current" system then in use was too costly for general introduction as a means of lighting. The alternating current system was cheaper. Mr. Westinghouse bought Gau­lard and Gibbs's patents, though not even he foresaw the tremendous advantages of the new method of distribution. After returning to the United States, he engaged William Stanley, Oliver B. Shallenberger, and other young electricians to de­velop the new system. The apparatus was designed, and a corporation known as the Westinghouse Electric Company was organized to manufacture, sell, and install alter­nating current apparatus for electric lighting. At this time Mr. Westinghouse no longer had to depend upon others to foster his plans. The air-brake had already made him rich. So, apparently well-fortified to carry his pro­ject to a quick and satisfactory conclusion, he really entered upon the "fight of his life." The electrical industry of the country was very small, but it was headed by Thomas A. Edison, and it was backed by a coterie of powerful financiers. These men had never been known to give up anything without a fight. The opposition aroused against Mr. Westinghouse and his new system was most powerful; it cropped up everywhere - in courts, in the legislatures of States, in the council chambers of municipalities, in Congress even. In the daily press, in scientific papers, in the magazines, the Westinghouse system was stigmatized as the "deadly alter­nating current." It is steadfastly maintained by adherents of Mr. Westinghouse that a law was passed in the State of New York to exe­cute criminals condemned to capital punish­ment by electricity solely to prove to the world that the Westinghouse alternating cur­rent was most deadly, and not from motives of humanity. Mr. Westinghouse's opponents hired agents by the score - lawyers, scientific men, engineers, and detectives - to go about the country and harangue against the introduction of this "pernicious, death-dealing system of electricity." Mr. Westinghouse met his adversaries at every turn. In spite of the opposition, con­tracts kept coming in; and the apparatus was installed by almost every company in the country. It was installed in London, England, in what was then the largest elec­tric lighting establishment in the world. In the end, the opponents of the alternating system were compelled to recant, and from that time the direct current system of light­ing was no longer heard of. Then the adver­saries of Mr. Westinghouse turned other batteries upon him. An older electrical company was manu­facturing an incandescent lamp patented by Mr. Thomas A. Edison, known as the Edison lamp. Wherever Mr. Westinghouse sold his alternating current machine, his customers were obliged to buy lamps from his opponents. So it was intimated to the Westing­house customers that, if they bought Westinghouse apparatus, they could not buy any lamps. On discovering this fact, Mr. Westinghouse brought out a lamp known as the Sawyer-Man incandescent lamp, manufactured after a patent granted to Sawyer & Man. Litigation began. A legal battle, which lasted for years and cost hundreds of thousands of dollars, was waged, till the Supreme Court of the United States decided in 1893 that the Sawyer-Man lamps were an infringement on the Edison patent. At this time Mr. Westinghouse had just received the enormous contract of the World's Fair at Chicago to supply ten 5,000 horse-power gen­erators and 250,000 incandescent lamps. But Mr. Westinghouse was not deterred. He smilingly assured his friends that there was nothing to be alarmed about. The surprise came in February, 1893. 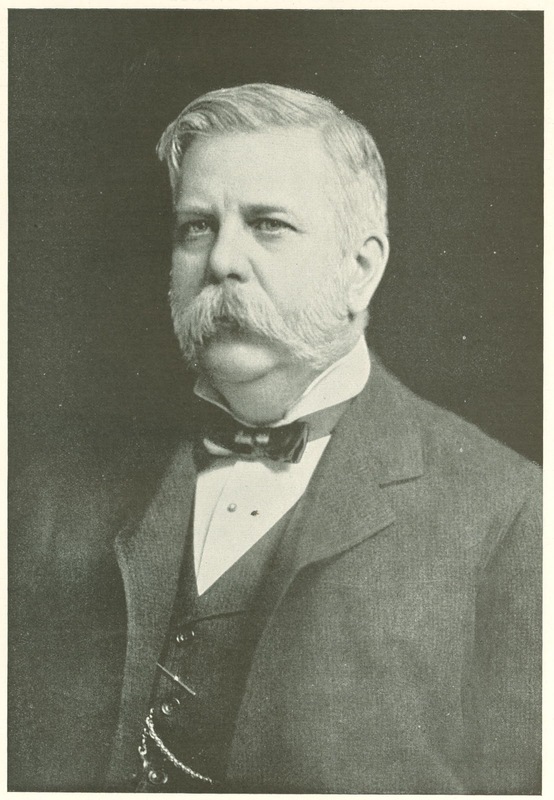 Mr. Westinghouse placed upon the market a Sawyer-Man stopper lamp, an incandescent lamp made in two parts, entirely different from the Edison lamps in its essential fea­ture. It is not so durable as the Edison lamp, but for a short period it gives as bril­liant a light. He then took the initiative in legal proceedings. He called the represen­tatives of the Edison interests into court to show cause why he should not manufacture this lamp. This was a master-stroke of strategy, and his success was complete. He supplied the machinery at the World's Fair and he supplied the lamps, presenting the most marvelous display of electrical illumi­nation that had been seen up to that time. But the saddest trial of his life came in 1890 and 1891. Owing to the financial situ­ation of the country and the mismanage­ment of the affairs of the Westinghouse Electric Company, that company stood at the brink of ruin, before he knew. But, with characteristic energy, he discharged the general manager and other employees and tried to restore order from the chaos. He in­vited Pittsburg bankers into a conference. They declined to help him. He offered his large private property, his own house in Pittsburg, as collateral, but they declined. The situation was grave. When he was finally persuaded that there was no hope of doing anything in Pittsburg, he boarded his private car and went to New York, where he was then comparatively unknown. In New York he secured all the money he needed. The electrical company was reorganized and placed upon a better footing than ever. But the experiment caused him to keep always a close grip on his affairs, and there is no doubt that today he is one of the world's hardest and most tireless workers. One may see him in New York on Monday morning, stepping off the train which has brought him from his home in Lenox, Mass. At his office, No. 120 Broadway, he will meet financiers, heads of his different companies, inventors, commercial men, capitalists. When his day's work is done, he goes to his private car in Jersey City, which will carry him west. The following morning, before the superin­tendents and managers are at their desks, he visits the work-shops in East Pittsburg, going from one department to another, casting his penetrating glances here and there. Where tests of some new device or of impor­tant improvements in machinery are under way, he will be there. His skill and his knowledge of mechanics and machinery are invaluable to the workmen. Of course, of late years he has been very busy looking after the executive part of his many enterprises, and it is very rarely that he goes into the machine-shop to work at the vise, at the lathe, or at the drill-press. But not long ago, it was an ordinary thing for men who wanted to see him personally to be told to go and find him in the machine-shop. True enough, there he was, with his coat off, his white shirt always immaculate. In this respect the man is remarkable. Even if he worked about machinery all day, the oil and grease and dirt never seemed to come near him. He was always clean. He stays at the factory until noon, when he lunches with some of his lieutenants. From there he goes into the city of Pittsburg, where he has an office in the large building which is named after him. Here he may have conferences, dictate letters or transact business, or make appointments over the long-distance telephone, talking to New York, Boston, Chicago, or St. Louis. Then, as likely as not, he will leave again that same evening for the East or the West, to return to Pittsburg, when? - The day after tomorrow. The Air-Brake Company, The Westing­house Electric and Manufacturing Company, The Westinghouse Machine Company, The Union Switch and Signal Company, The Pittsburg Meter Company, The British Westinghouse Electric Company, The French Westinghouse Electric Company, The Ger­man Westinghouse Company, The Russian Westinghouse Company, The Canadian Westinghouse Company, and several minor con­cerns, with a capitalization of $100,000,000 and employing about thirty thousand workers. He has a remarkable power over men. An incident demonstrating this occurred in the president's office in one of the largest Pitts­burg banks a few years ago. The president's private telephone rang several times, and finally answering it, the president said, "Mr. Smith is not in now." A visitor hearing the remark, looked as­tonished, and asked, "Mr. Smith, why did you tell him that you were not in?" Mr. Smith answered "That was Mr. Westinghouse at the other end of the line. He is a peculiar man and has a marvelous influ­ence over other men. It is impossible to re­fuse him when he asks for anything. He wants me to come to see him, and if I should go and he should ask me for a large sum of money I would let him have it. And we are not now in a position to make the loan." Here is another incident, illustrating how business problems pursue him. A few years ago a game of whist was progressing smoothly, when, after one of the deals, Mr. Westing­house did not pick up his cards, but kept drawing on a piece of paper before him. The others watched him curiously, remarked that they were ready to proceed, and then waited and waited, unable to understand why he would pay no attention to them. Suddenly, with a flash of triumph in his eye and exultation in his voice, he cried out, “Brown, I've got that natural-gas meter fixed - here it is; it cannot fail to work suc­cessfully," and picking up his cards he asked, "Whose turn is it to play?" The great problem which made the pro­duction and sale of natural gas a paying enterprise, and which laid the foundations for a successful business for the great Philadelphia Natural Gas Company of Pittsburg, had been solved. Mr. Westinghouse is more than six feet tall and well proportioned, erect as an oak, with large hands and feet, with broad, square shoulders, a full chest, a short bull neck, a massive head covered thickly with almost white, well-trimmed hair, a pleasant, open countenance with bright, brown eyes full of life and vivacity, a ruddy complexion, and the face distinguished by a heavy white mustache and not too closely clipped side-whiskers; a being of permanent mobility. While walking, his step is quick, long, elastic, and when sitting, either his feet are moving or his hands are toying with whatever object is nearest—a pen, a pencil, a sheet of paper, or perhaps eyeglasses, which are used only when he reads. Add to this that the man before you is dressed in a single-breasted coat, of quiet, sombre pattern, cut in the simplest fashion, and you have a picture of him. "If some day they say of me that with the air-brake I contributed something to civiliza­tion, something to the safety of human life, it will be sufficient." The World’s Work Magazine. January 1905.